As I settle into my new home I can only dream about what the future of this place might look like. I can picture the home painted, the patios finished with stone, a covered patio, new fence, and landscape. Not to mention the million ideas I have for the kitchen. Right now I concentrating on minor things that I can change. Flooring, and walls to be specific. It just feels right for this house. 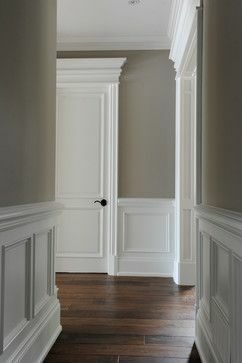 Moldings would make a huge difference, and help define it's style. dream and enjoy the process. I did get a new dishwasher. 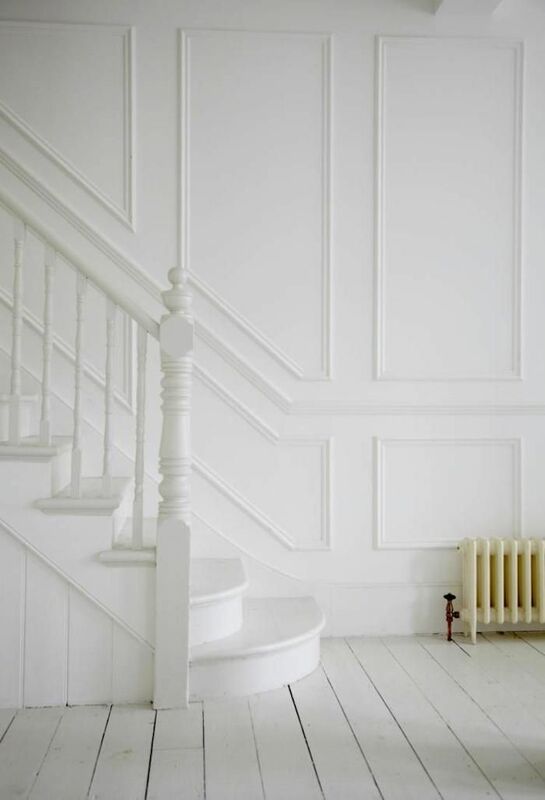 Hi Sharon...I'm having the same dreams...I want to add wood details to my living and dining room...I have one problem...budget! I don't remember your dining room looking country...maybe for now buy a contemporary chandelier instead of wainscoting..
Well...your kind of right! It's got a wide bead board wainscoting. It feels dated and not very traditional. I am on the hunt for a very contemporary chandelier to help out the situation. I feel lucky to be here, and I knew it would take time. I just forgot how impatient I really am. Sharon...I did a post and mentioned you and your blog this morning..